The Oceania Gymnastics Development Plan was an initiative of Gymnastics Australia in partnership with Gymnastics New Zealand to establish gymnastics in the Oceania region with the intent to formally constitute an Oceania Gymnastics Union. This Project would not have been possible without the financial support of the International Gymnastics Federation. The plan was to develop gymnastics in the schools and communities of countries in the Oceania region, leading to the formation of national gymnastics federations, recognised by the International Gymnastics Federation (FIG). According to the Olympic Charter, “the Olympic flag includes the five interlaced rings, which represent the union of the five continents and the meeting of athletes from throughout the world at the Olympic Games.” There were previously four Continental Unions recognised by the FIG; Europe, Panamerica, Africa and Asia. Until December 2018 there was no formally constituted Continental Union for the Oceania region in the same way as the other four continents. Oceania includes Australia, New Zealand and the Pacific Islands, but of those, prior to 2015 only Australia and New Zealand were affiliated members of FIG. Countries participating in the first stage of the Oceania Development Plan were American Samoa, Fiji and Cook Islands and Guam. Each country is unique in its culture, and also in the level of gymnastics participation. American Samoa had no previous gymnastics participation and the Sports Commissioner saw the benefits gymnastics could provide as a foundation for other sports. Guam had established gymnastics programs, with high level gymnasts and experienced coaches, and had not yet become a member of FIG. Fiji had recently been introduced to gymnastics and numbers have been growing steadily. Cook Islands had a long history of gymnastics participation and a desire to re-establish the national body. In October 2016 American Samoa, Fiji and Cook Islands were all officially recognised and ratified as full member federations of the FIG. Stages two and three of the Oceania Development Plan saw Tonga, Papua New Guinea and Samoa introduced and finally, in 2019 Vanuatu will be included in development activities. 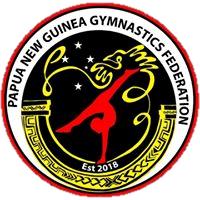 In May 2018 Tonga and Papua New Guinea Gymnastics Federations were accepted as Provisional FIG members bringing the total Oceania Gymnastics FIG member federations to seven. The focus of the Oceania Gymnastics Development Plan was to promote to the Oceania region gymnastics as the Fundamental Movement Program for all children, with a strong message that gymnastics is truly a “Sport for All” that can be practised in many ways and by all ages and abilities. Gymnastics also offers a pathway to international competition. Development activities conducted have included coach and judge education, teacher in-servicing, “come & try” gymnastics sessions and clinics for gymnasts with some experience. Additionally, board governance mentoring and administrator training are important components of establishing sustainable federations. The Oceania Gymnastics Development Plan has been underway for four years. With funding from The International Gymnastics Federation Brooke Kneebush coordinated activities based at the GA office. From Gymnastics New Zealand, Education Administrator Tas Evans also contributed her wealth of knowledge and experience. In September 2018 the founding General Assembly of the Oceania Gymnastics Union (OGU) was held in Auckland New Zealand, chaired by FIG Secretary General Andre Gueisbuhler. The Constitution of the OGU was approved and directors from the seven member federation appointed. Kitty Chiller (AUS) was elected President, Raukura Ellison (COK) was elected Vice President and Brooke Kneebush (AUS) was appointed Secretary General.